Track your sleep cycle, monitor dreams, improve bedtime habits, sleep patterns & wake up better with the free Sleep Better sleep tracker app with smart alarm clock from Runtastic! 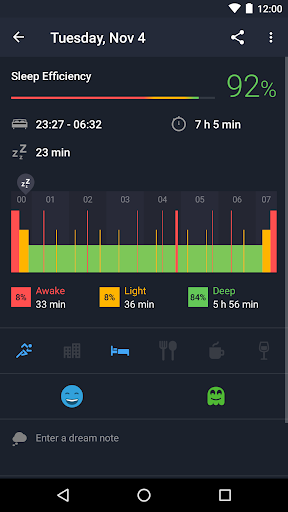 Sleep Better sleep cycle app offers you a simple and engaging way to get better sleep using a sleep tracker, sleep timer and sleep clock. Time to take your sleep seriously! Instead of fiddling with other sleep apps before bedtime, get to bed early with Sleep Better. Whether you struggle to fall asleep, want to learn how your daytime activities influence your sleep, or simply want some new & refreshing smart alarm clock sounds – this is your ideal free sleep app! 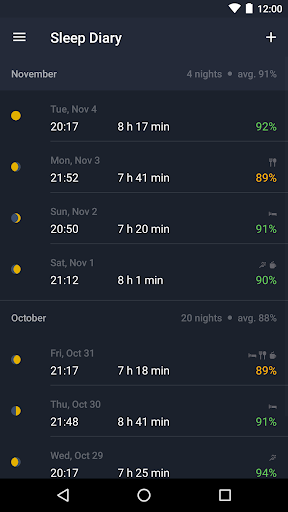 Track moon phases, keep a sleep diary and more using this preferred sleep monitor on your Android device! Better sleep is in your future. * Sleep monitor: This sleep tracker monitors your sleep cycle, duration (both light and deep sleep) and efficiency with the simple tap of a button and placing your device by your sleep pillow. * Track caffeine & alcohol consumption, exercise info, and stress level to determine the effects of these variables on your sleep quality. 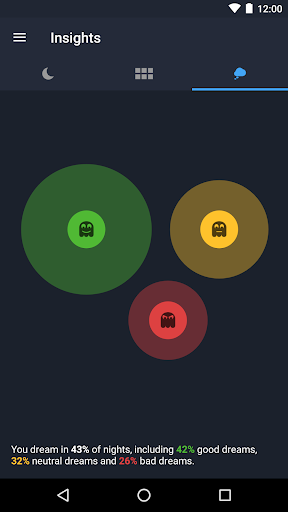 * Monitor moon phases and find out if it impacts your sleep cycle, internal alarm clock, deep sleep, sleep duration or snooze and sleep patterns. * Keep a dream & sleep diary to track your dreams (good, bad or neutral) with the Runtastic sleep monitor. * Sleep track with your tablet: This sleep app and smart alarm clock works on tablets, too! Same as your smartphone, place it right next to your sleep pillow. 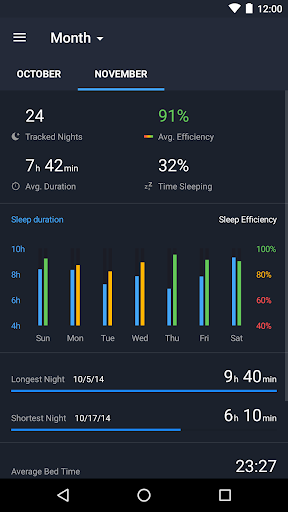 * Share sleep tracking sessions via Google+, Facebook, Twitter, WhatsApp & email directly from your sleep monitor app. 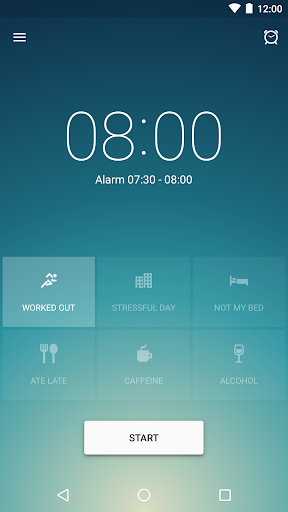 * Some functions & benefits are limited in the free version of Sleep Better sleep app. 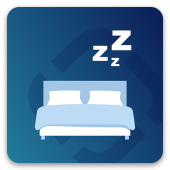 To access all benefits, users are encouraged to take advantage of the Sleep Better in-app purchase. Download today and start tracking your sleep duration, sleep patterns and make use of the sleep clock in your sleep diary tonight! If you’d like even more information about why sleep is such an important component of your overall health, wellness and fitness efforts, please visit the Runtastic Blog today. We’re pleased to share a sleep series with interested users & readers to help YOU truly make the most of your shut eye. Sleep-related insights and further information on 24-hour tracking with Runtastic are also covered on our Fitness Channel on YouTube and throughout our social media channels.